As I walked in, I was surprised. There was a huge table setup in the middle of the buffet spread at Spectrum. 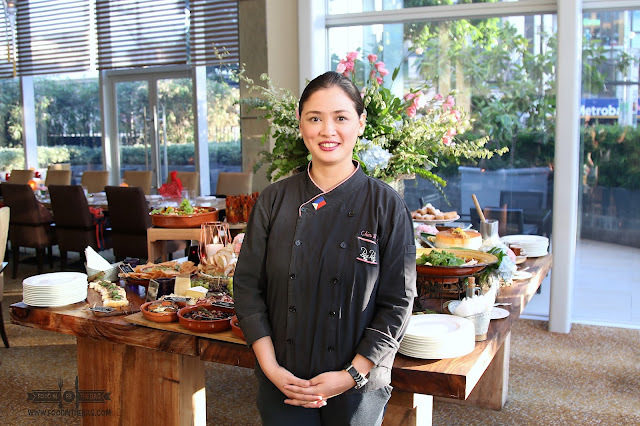 For those in the know, Spectrum is the all day buffet outlet of FAIRMONT HOTEL in MAKATI. 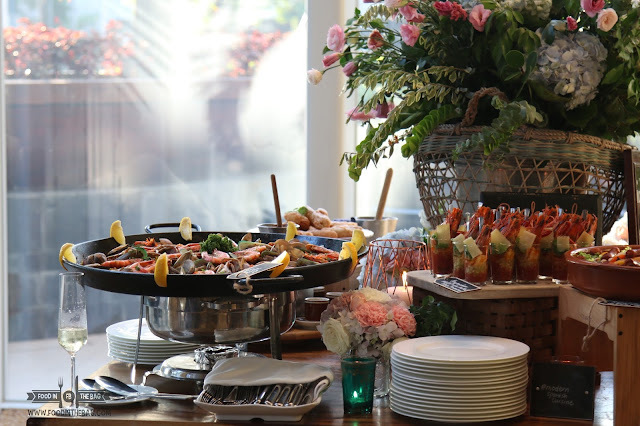 It is here that people could enjoy their breakfast, lunch, and dinner buffet. 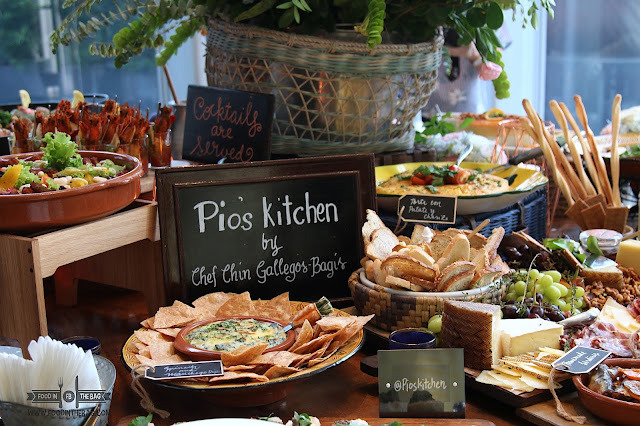 In honor of the Hispanic Heritage Month, Spectrum partnered with Executive Chef Chin Gallegos-Bagis of the famous Pio's Kitchen to create MODERN SPANISH CUISINE. From October 9-15, 2017, guests would be pampered and treated to a night of unlimited dining and tasting of delicious Spanish cuisine. For the media preview, the setup was just incredible. 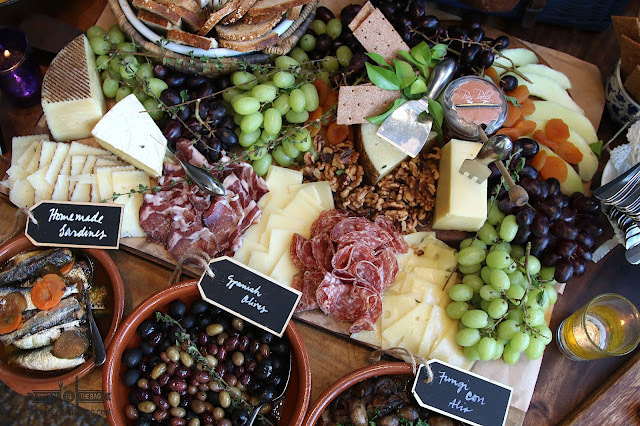 There were a number of cheese, cured meat, and even homemade sardines to start things up. 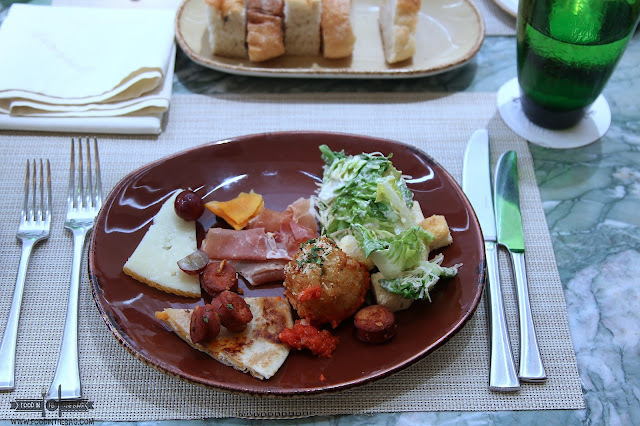 If I were you, go for the olives and also the mushrooms as they give each other contrasting yet great flavors that goes well with the cheese and bread. 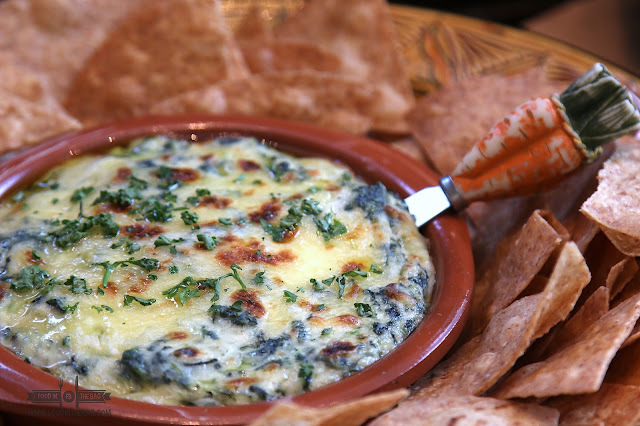 The Spinach and Manchego dip was oozing with herbs and spices. It was definitely just the tip of the iceberg. 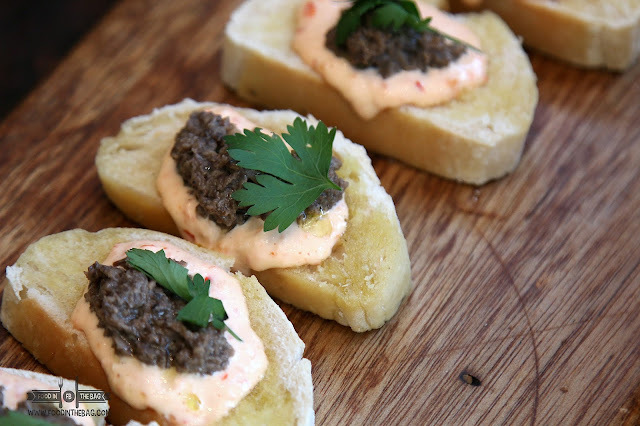 Not to be missed, the Mushroom Tapenade and red pepper rouille were delicious and straight forward. There were a couple of salads that were quite interesting in their own way. 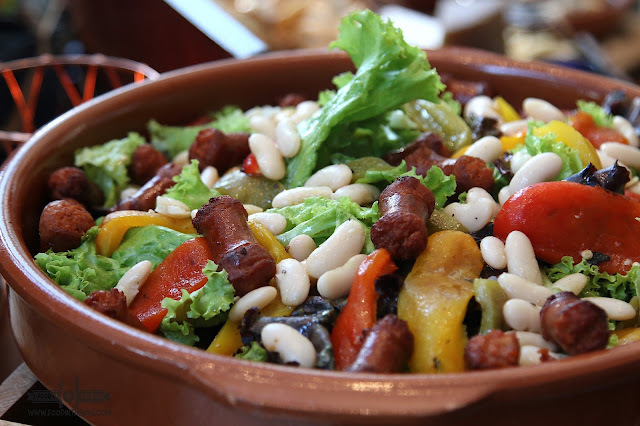 One is a mixture of roasted peppers, beans and greens. If this doesn't suit your taste buds, you might want to go for the next one. 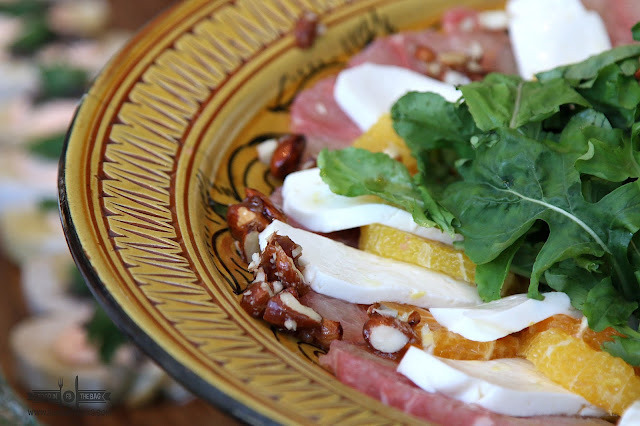 Sweet oranges, pomelo, cheese, and nuts were spot on. It was something refreshing and light. This would be my top pick for the healthy but delicious category. A dish that originated from southern Spain would be the Gazpacho. Served cold, it was a treat to be served this. 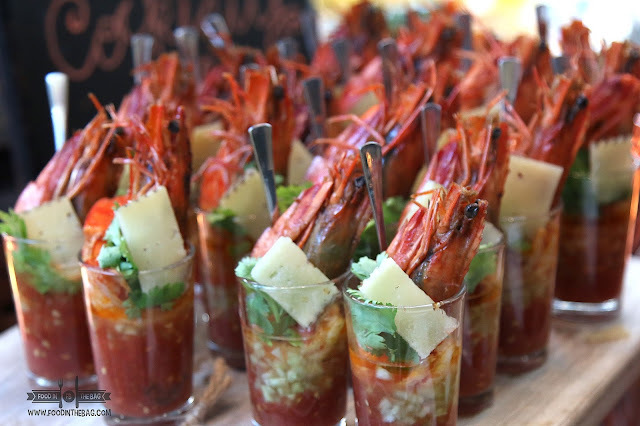 These Gazpacho Shots had huge grilled tiger prawns making it decadent and glorious. Egg lovers would pick the Torta con Patata Y Chorizo. 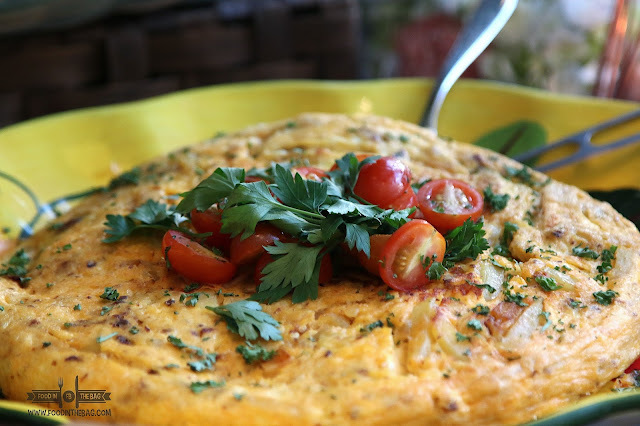 Fluffy, this egg dish is filled with potatoes and is a common treat in Spain. If Spanish Cuisine could be described in one word, it would Paella. Of course don't get me wrong as I know Spanish Cuisine has a lot to offer, but personally, this is my impression of it. A mixture of everything and anything. 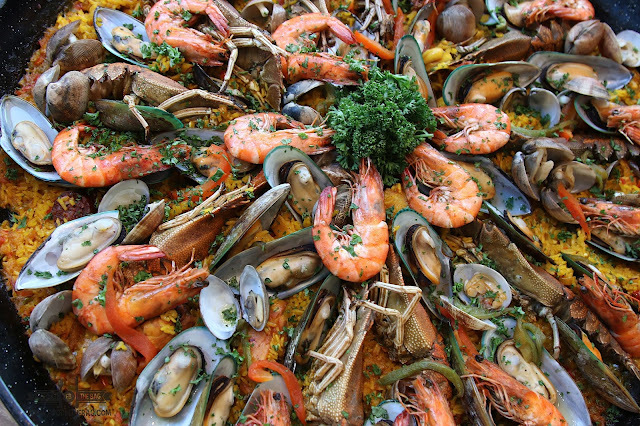 PIO'S KITCHEN has been in the local foodie radar because of its Paella. They are known for their different take and creation of such. Here, they introduced the traditional version with a few lobsters just to make everything special. 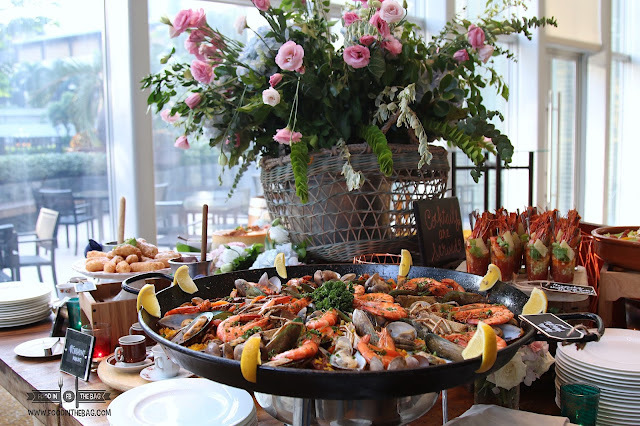 On October 9, Chef would be cooking up a storm and have as many as 9 different paella flavors to offer. Dessert is a must at this spread. 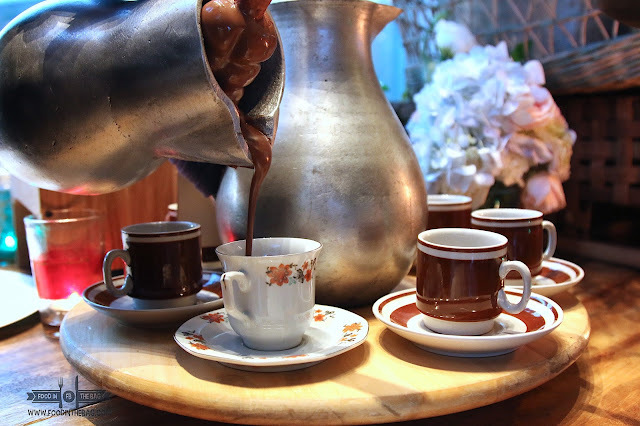 You could start off with some chocolate batirol. Old fashioned yet with a twist. Here, they used VALHRONA Chocolate just to make this chocolate drink. 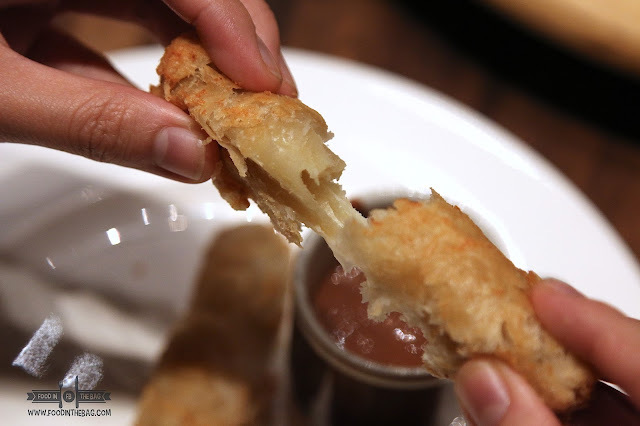 You could use the Churros to dip in this sinful chocolate concoction. If you're up for something not too sweet but still mouthwatering, the MAJA DELIGHT might do the trick. 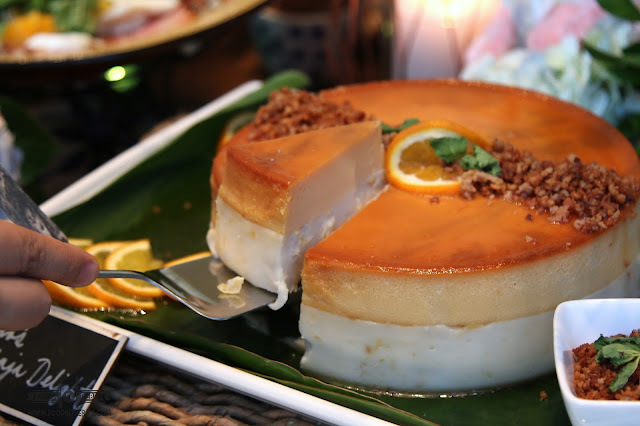 A 2 layer dessert, the top being similar to custard while the bottom is almost the same with Maja Blanca.